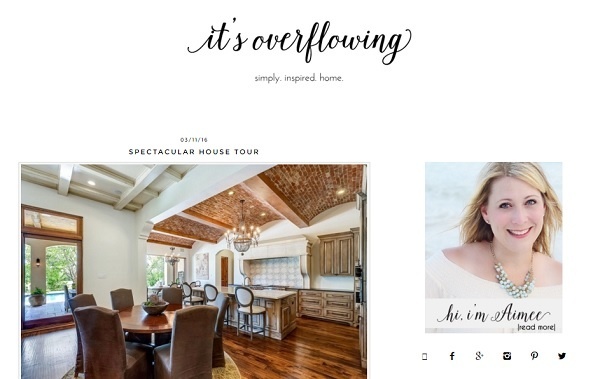 Whether you are looking for stylish interior design ideas for your home or you simply crave some sort of house inspiration every now and then, It’s Overflowing might become your favorite blog. Aimee Lane writes incredible articles. I especially love her house tours. There are so many unique ideas to steal for your own place.